How many people can say that they LOVE their job? One of the reasons why I LOVE Norwex (and their are many!) is due to the fact that it relatively new to Australia (it’s been here for 5 years), it is ‘fresh’ ground so one party easily leads to another, because people fall in love with it and want to see more (and get the AMAZING amount of FREE products that Norwex offer their hosts). 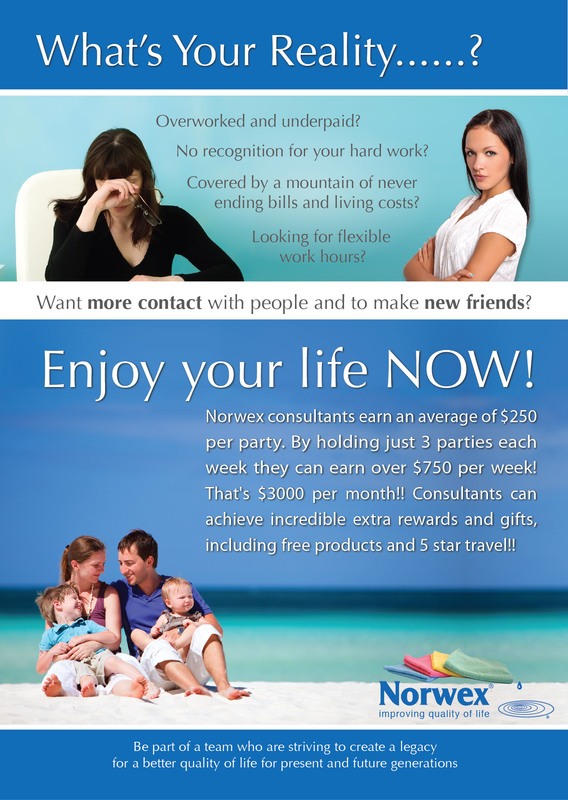 I have consultants in other states in Australia,and with Norwex using online training, webinar’s and groups on facebook, you can be ANYWHERE and get help, support and connections. If this sounds interesting with only a $69.95 start up and Norwex giving you over $200 in products and stationery as a start up, fill in the contact form and I can send you some info via post or email.